The Bar Standards Board (BSB) will be unable to regulate alternative business structures (ABS) effectively until it learns more about users of barristers’ services and undergoes “significant cultural change”, according to the Legal Services Board (LSB). The stark verdict on the BSB’s shortcomings was made in an LSB assessment of its performance, the last of a series of evaluations of the frontline legal regulators. As well as raising doubts over the BSB’s understanding of consumers, the LSB also questioned whether the regulator was – or was perceived to be – sufficiently independent from the profession and the Bar Council. Responding to an LSB request for a self-assessment of its performance and goals, the barristers’ regulator outlined a number of strategic aims, including taking “a more risk and evidence-based approach” to regulation. Earlier this month the BSB submitted its new Handbook to the board for approval, which paves the way for it to regulate entities, and subsequently it will submit an application to become a licensing authority for ABSs. It follows an extended period of bad-tempered public exchanges in which, among others, the BSB accused the oversight regulator of going beyond its remit – a claim the LSB robustly denied. In a 35-page document, the LSB welcomed the BSB’s “frankness” and while it raised concerns about the scope of the regulator’s ambitions, it noted that “such ambition is welcome”. The BSB had indicated that it was “serious about delivering risk-based regulation”. But the LSB highlighted recent problems caused in enforcing disciplinary tribunal decisions by errors made by the Council of the Inns of Court (COIC) as evidence the BSB had been forced onto the back foot. If it is to regulate barristers conducting litigation,as well as ABSs, “we will expect the BSB to demonstrate significant progress in embedding the regulatory standards into their day to day operations when it submit its applications”. The LSB warned it would “be monitoring the BSB’s adherence to its action plan closely and will, where appropriate, take action for failure to keep to its plan without good reason”. “We are pleased that the BSB is seizing the opportunities offered by the Legal Services Act… to free barristers to offer their services, and new services, to consumers in new ways. However, with change comes risk and challenge. The BSB must do more to embed the regulatory standards and an outcomes-focused regulatory approach into its day-to-day operations. 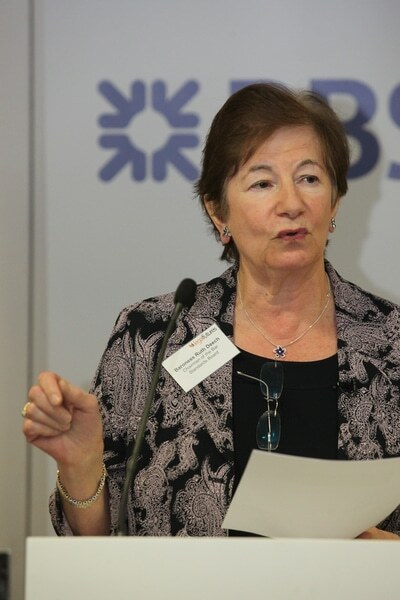 BSB chair, Baroness Ruth Deech, responded: “We have been very frank with the LSB about the challenges we face and I am pleased their report welcomes our honest and constructive approach. “The legal services landscape is evolving rapidly and we aim to ensure barristers can work more flexibly to take advantage of a liberalised market and bring benefits to their clients.